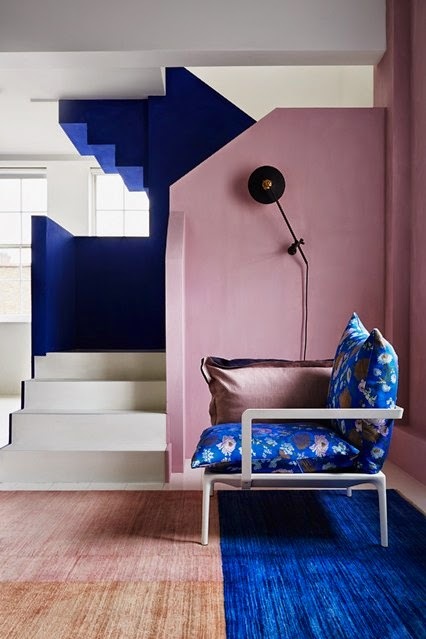 We wouldn't expect the London home of Made.com's creative director Chloe Macintosh to be anything less than effortlessly stylish. 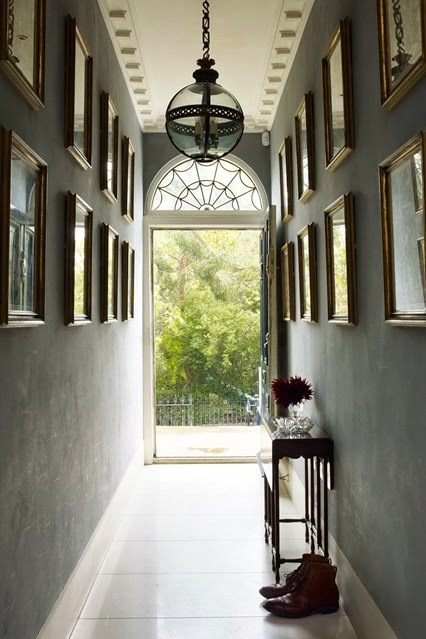 The hallway forms part of the 'core' of the property, that fuses two houses which had been knocked into one. The two-in-one idea is a theme in Chloe's home, which mixes her contrasting passions for modern and traditional, light and dark, and clean lines juxtaposed with flea-market finds. 'The challenge was to get as much light in there as possible,' Alex Michaelis of Michaelis Boyd architects of the staircase in this London project. 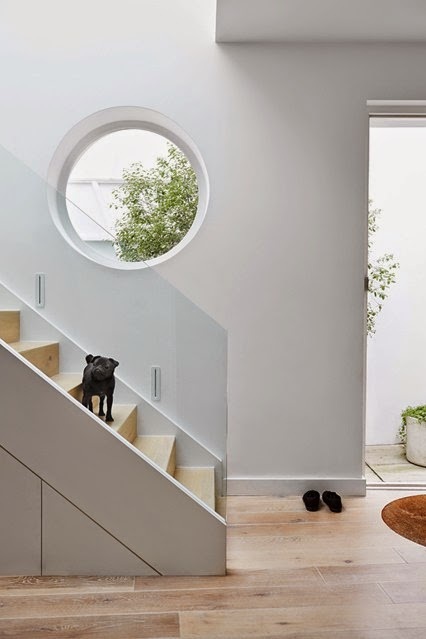 The solution was to combine glass and limed oak, with a huge rooflight placed above the stairs and a porthole, to let the light flood in. 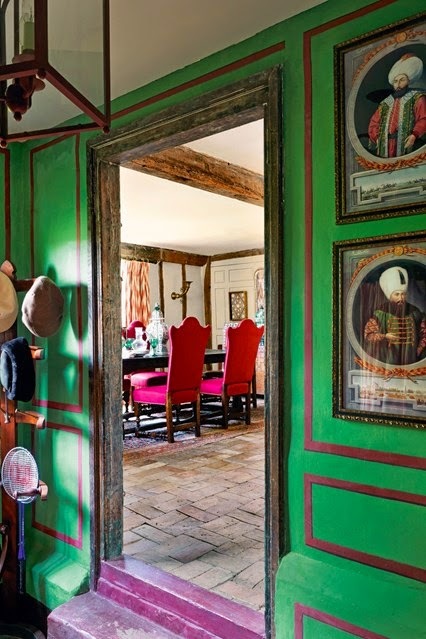 In the front hall of their 16th-century farmhouse in Suffolk, antiques dealer Tarquin Bilgen and his garden-designer wife, Isobel, used trompe-l'oeil panelling in striking dark green and red (painted by Alan Dodd) to highlight a collection of Ottoman portraits that Tarquin inherited from his father. 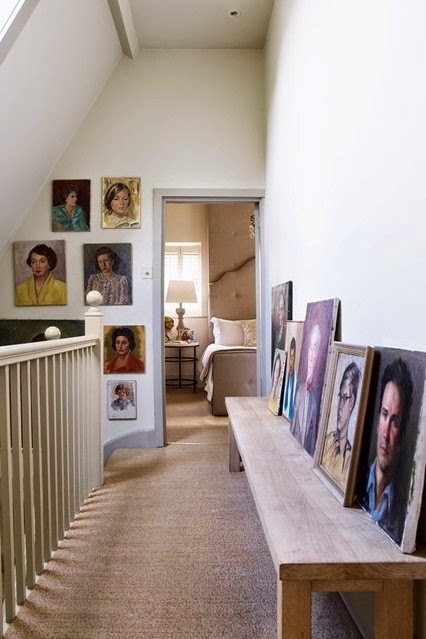 The couple had Alan paint similar effects in their spare bedroom and their upstairs hallway. 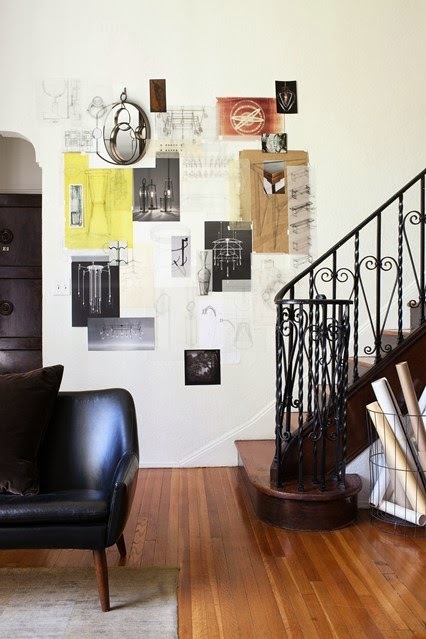 Glass artist Alison Berger has created a delicate moodboard of her designs on the stairs of her Los Angelis studio. The owner of this 1830s London house wanted it to be restored to its original style, which interior designer Max Rollitt achieved by retaining its idiosyncrasies and, including the original dentilled cornicing in the hallway illuminated by an 'Original Globe' lantern from Jamb. 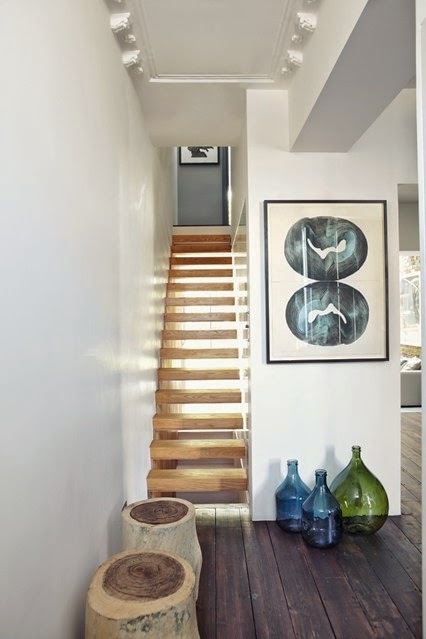 A New York architect (Doug Larson) and a London decorator (Hugh Henry) worked together with the owner to reunite two Manhattan apartments into one harmonious space, creating a sophisticated home as well as a magnificent backdrop for his collection of African and African-American art. 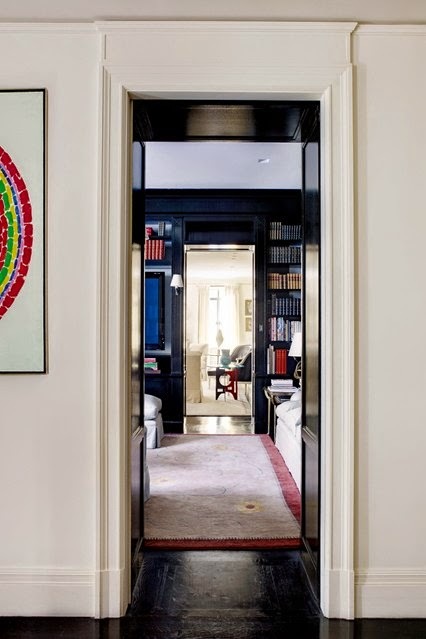 It was Hugh's idea that the sequence of main rooms should alternate between light and dark, creating a neat visual impact when viewed through hallways and doorways. 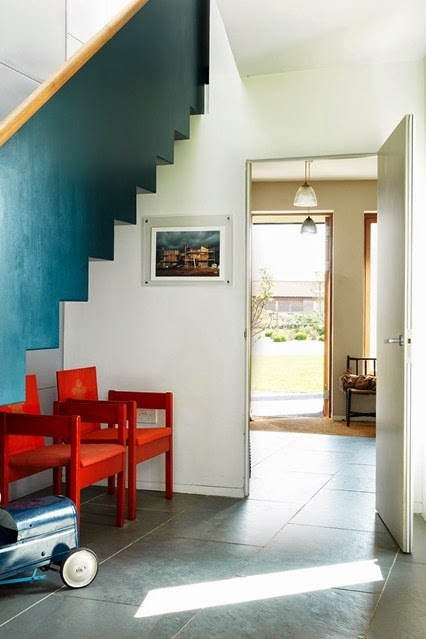 Having commissioned an award-winning newbuild by architectAnthony Hudson in Suffolk, the owners entrusted its decoration to interior designer Virginia White, who has used the asymmetrical spaces as a backdrop for harmoniously diverse furniture and furnishings. Sitting beneath the hall's crenellated steel staircase, which has a faintly maritime air, are Prince of Wales' investiture chairs designed by Lord Snowdon in 1969.